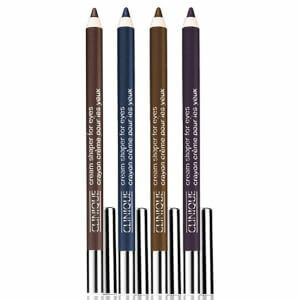 Define the shape of your face with Clinique's Superfine Liner for Brows, an ultra-slim eyebrow pencil with natural-looking finish. With finely processed pigments for longer wear, the automatic brow pencil combines a fine tip with expert skin adherence to precisely fill gaps in your brows and create a flattering shape to contour your face. Brows will look professional and precise yet soft and natural. No need to sharpen. Brush brows down and fill in sparse brow areas as needed; then brush up for shape and definition.